John started his professional career as the back-end of ‘Buttercup the Cow’ in pantomime and has been working his way forward ever since! He was a London policeman, schoolteacher and driving instructor prior to attending drama school. John has worked extensively in theatres all of the UK, playing everything from Shylock (Merchant of Venice) to Terri Dennis (Privates On Parade). Minder, The Professionals, Target, The Chinese Detective, The Sweeney and Juliet Bravo. Poirot, Dempsey & Makepeace, Minder and The Sweeney. Operation Goodguys, Devices & Desires, Rockliffes’ Folly, The Bill, Coronation Street, Private Shultz, Marjorie & Men, Boogie Outlaws, Hold The Back Page, Space 1999, Those Glory Glory Days, Angels, Chucklevision, Jossy’s Giants, The Tomorrow People and The Prince and the Pauper. A Bridge Too Far, That Summer, The Oddjob, The Appointment and the much-acclaimed Scum. John’s own stage show, Here’s A How Dee Doo! or Twisted Cues & Elliptical Balls, based on the lives of Gilbert & Sullivan, has played all over the UK, the West End, on radio and in Canada. He has appeared in scores of TV commercials and has written two full-length musicals: one based on his experiences as a policeman entitled Ello, Ello, Ello (which premiered at Oldham Colliseum), and the other, 'Bunter! ', based on the Billy Bunter stories (which premiered at the Northcott Theatre, Exeter). 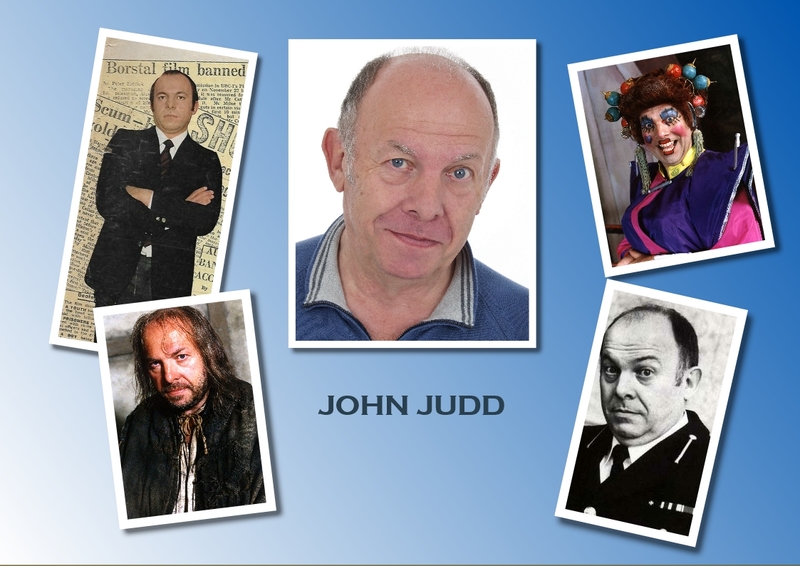 He has appeared as panto dame many times and has written and directed pantomimes in England and Canada. He directed Esther Rantzen in her panto debut! John is a keen supporter of Crystal Palace Football Club, his agent, bank manager and real ale.